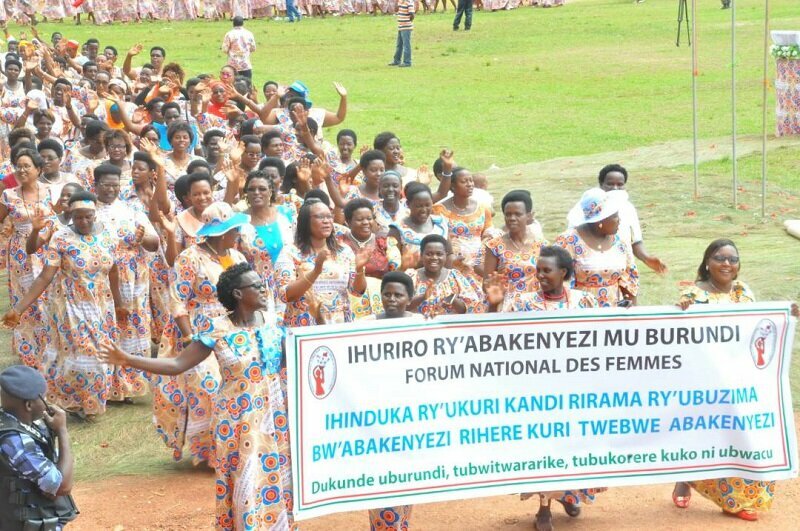 BUJUMBURA March 12th (ABP) – The chairperson of the National Women’s Forum, Ms. Janvière Ndirahisha, asked Burundian President on Thursday to respect the minimum quota of 30% of women in elective and non-elective decision-making positions. According to Ms. Ndirahisha, who was speaking during the solemn celebration of International Women’s Day (IWD), the quota is guaranteed by the Basic Law and women are capable. 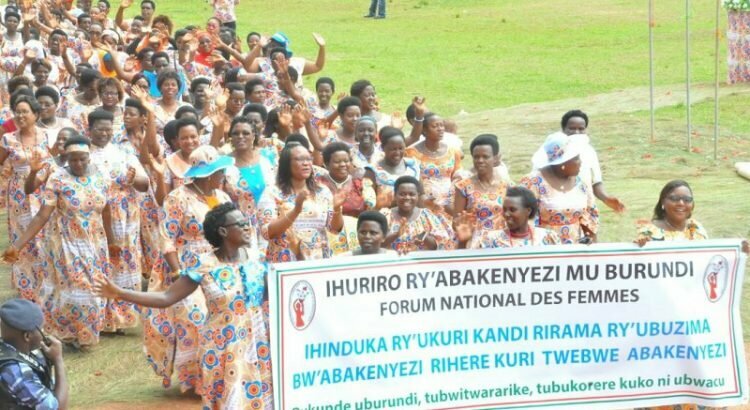 She also advocated for the revision of discriminatory laws such as the Code of Persons and the Family and the guarantee of women’s access to agricultural inputs insofar as the majority of Burundian women live from agriculture. She also called for the establishment of holistic care centers for victims of gender-based violence in the 18 provinces of the country. Currently, only four provinces have those centers. Ms. Ndirahisha also advocated for the capacity-building among women in ICT and gender consideration in development programs. The electoral law should also provide for compliance with the minimum quota of 30% of women from the hill to the top. She thanked the wife of the Head of State for the teachings she gives in order to have a youth, girls, women and a society characterized by Burundian values. According to her, the transformation of women’s lives begins with the women themselves. The Minister of Human Rights, Social Affairs and Gender, Mr. Martin Nivyabandi, emphasized the presence and performance of women in different sectors and the complementarity between men and women. He also criticized the inequalities observed between men and women and insisted on supporting women for their self-development. The Resident Coordinator of the United Nations System in Burundi praised the efforts of the Government of Burundi, which, through the leadership of President Nkurunziza, made significant progress in the areas of promoting gender equality and Burundian women and girls empowerment. He cited the legal framework that guarantees equality between Burundian men and women, the institutional framework, the national policies, the strategies, the action plans implemented and an exemplary partnership on all issues of women empowerment. Despite the progress made, challenges remain, including the challenges of eliminating poverty, especially women, promoting sustainable farming methods, promoting decent employment, fighting against climate change, access to resources, markets, to social services, social and legal protection, the elimination of violence against women. He emphasized the importance of continuing to implement laws, policies and programs in order to have the resources needed to promote women’s rights and realize economic opportunities. 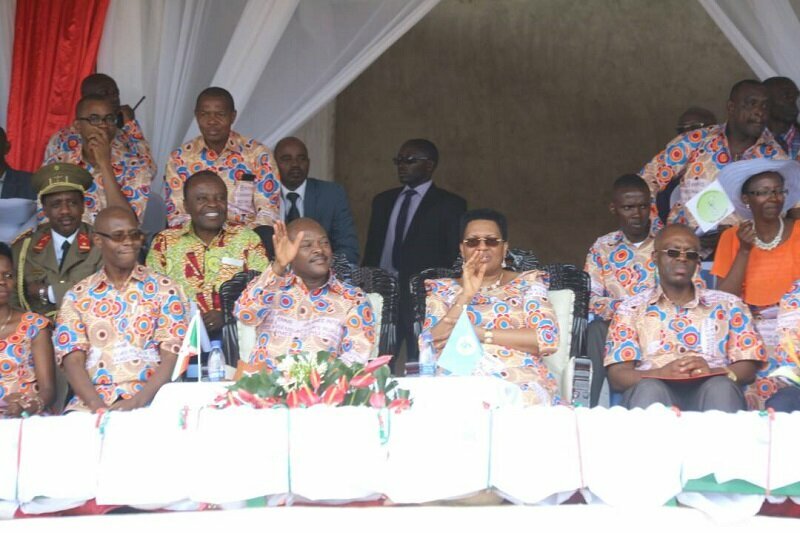 He insisted that we cannot neglect the contributions from women and girls who represent 51% of the Burundian population. Gifts were offered to the Presidential Couple during the celebration of the day of March 8th in Kayanza. The National Women’s Forum gave a painting to the wife of the Head of State, Ms. Denise Nkurunziza, for having played a special advisory role for her contribution to the advancement of the rights of Burundian girls and women and the sustainable development of families. The President of the Republic received a “ya muco” heifer and a basket of fresh fruits from the Kayanza Provincial Women’s Forum.